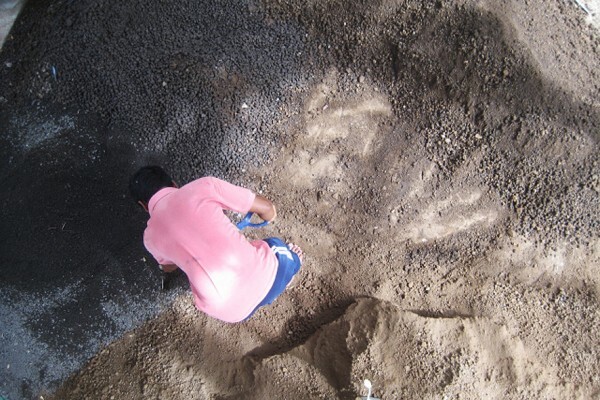 Close friends of mine, who have been living in Paraguay for the last 7 years, urged me to build a living space for them... with a lot of earth. 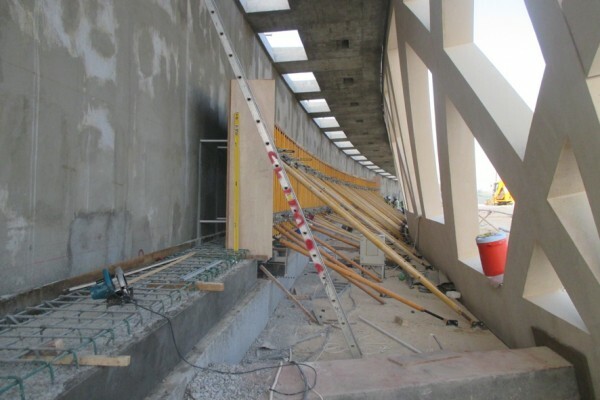 The work is in process. 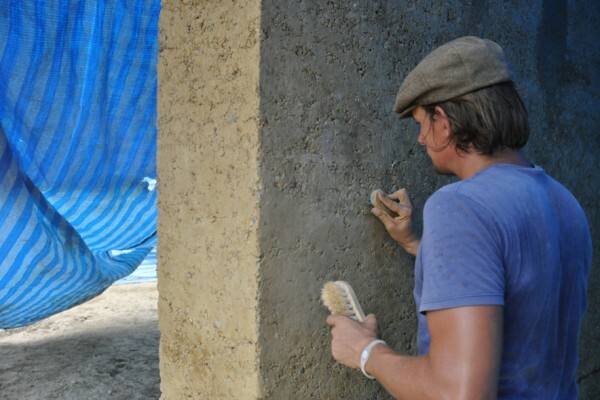 The process is incredible demanding. 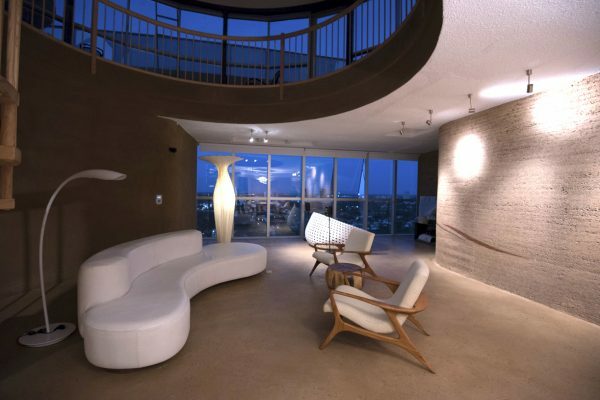 The result will be incredible beautiful and inspiring! 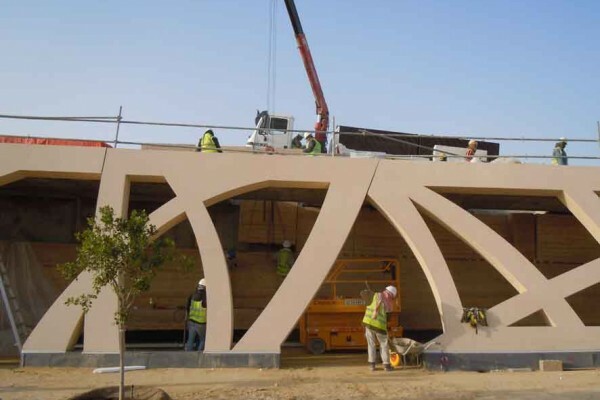 Saudi Aramco / Saudi Oger Ltd.
To create a space to honor the past, bring into close conscious where we are at the present moment and to spotlight visionary ideas which have the potential to create a bright future where life as we know it today is coexisting in equilibrium. 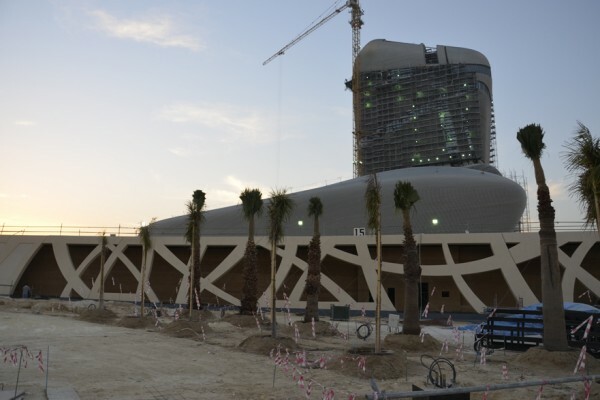 The Cultural Center will provide for a wide range of activities serving the local population and becoming a cultural landmark on both a regional, national and global horizon. 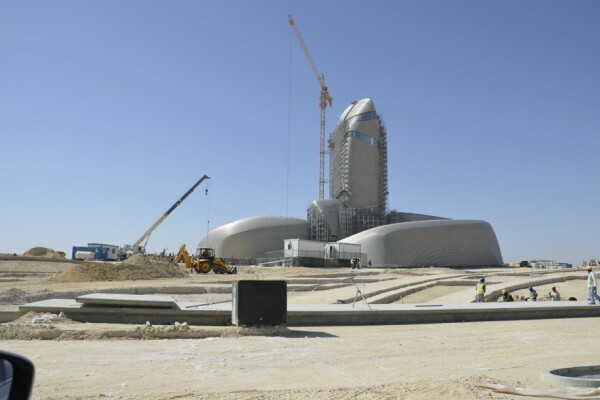 When completed, the project will contain diverse cultural facilities, including an auditorium, cinema, library, exhibition hall, museum and archive. 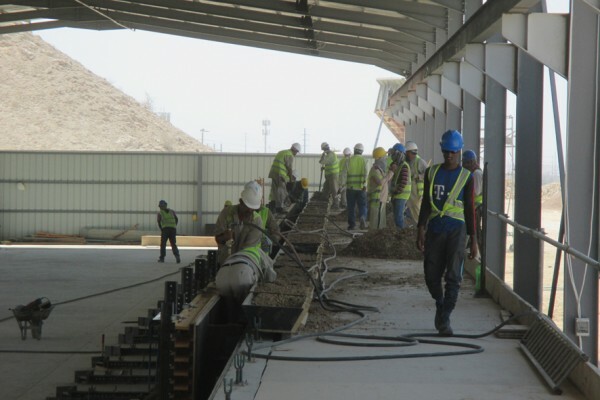 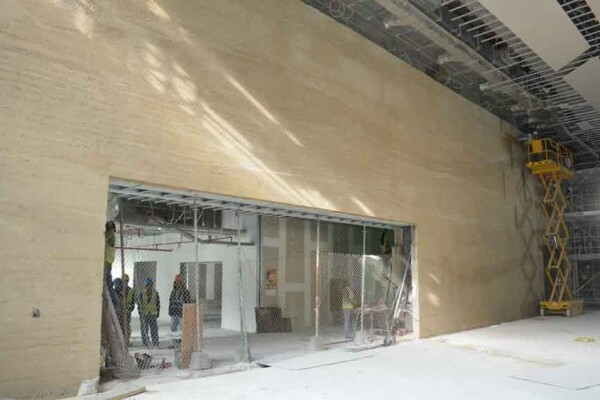 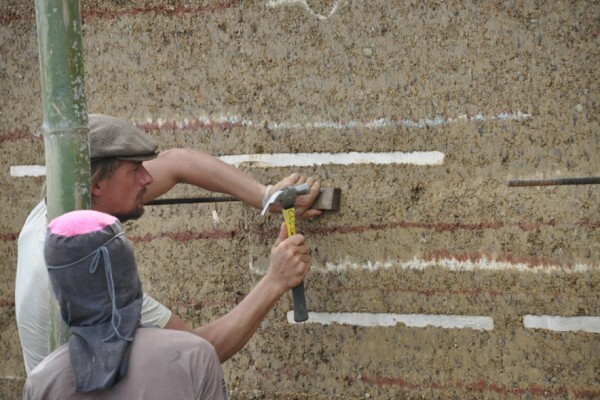 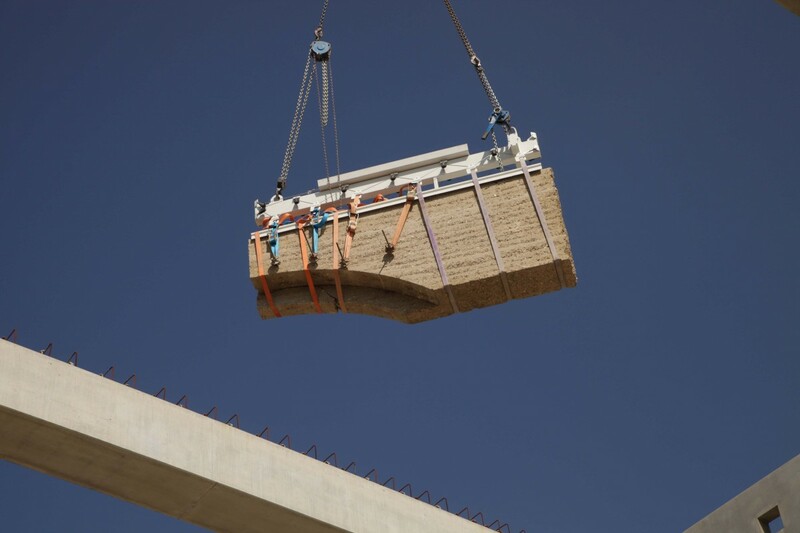 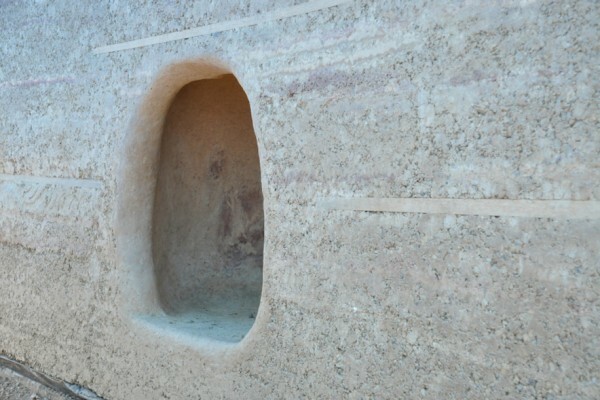 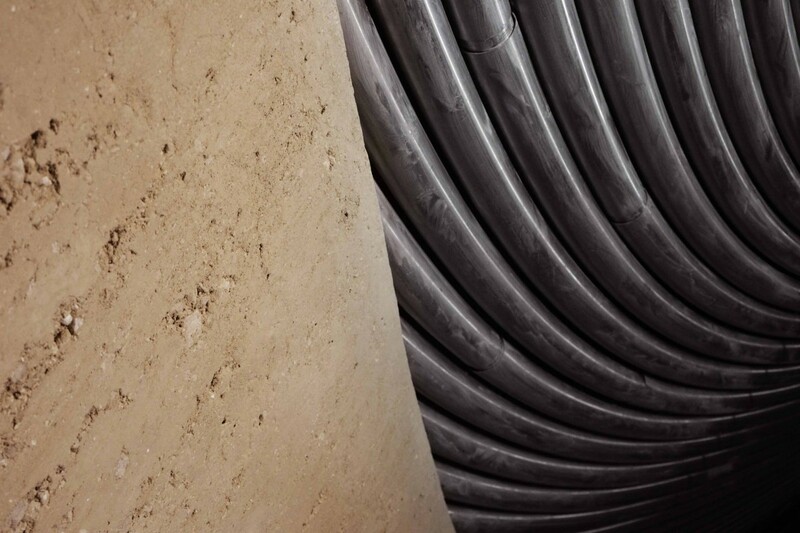 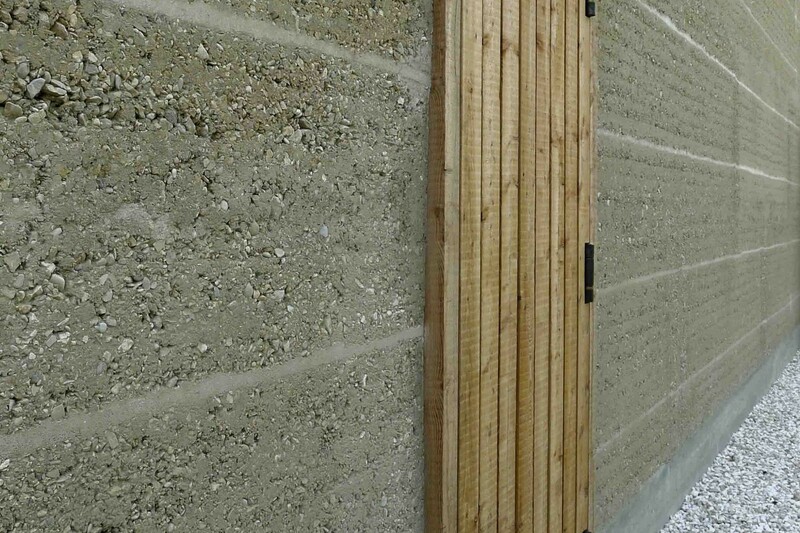 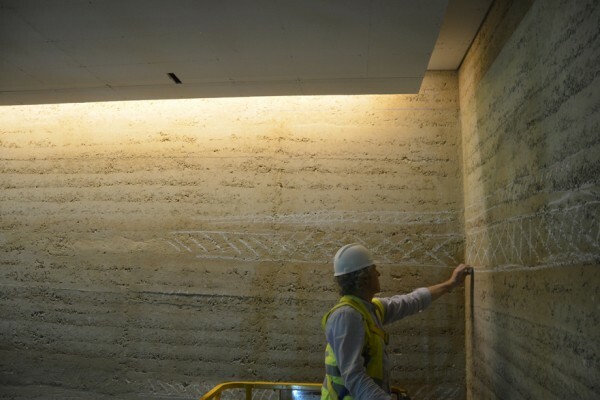 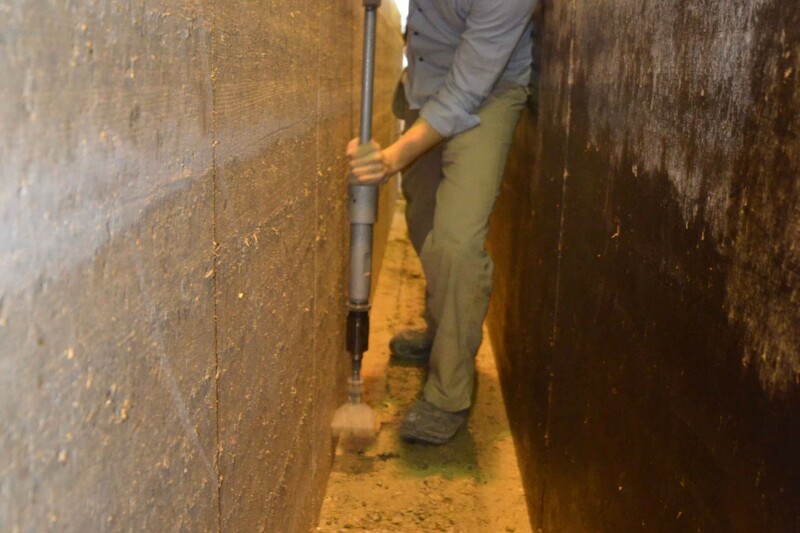 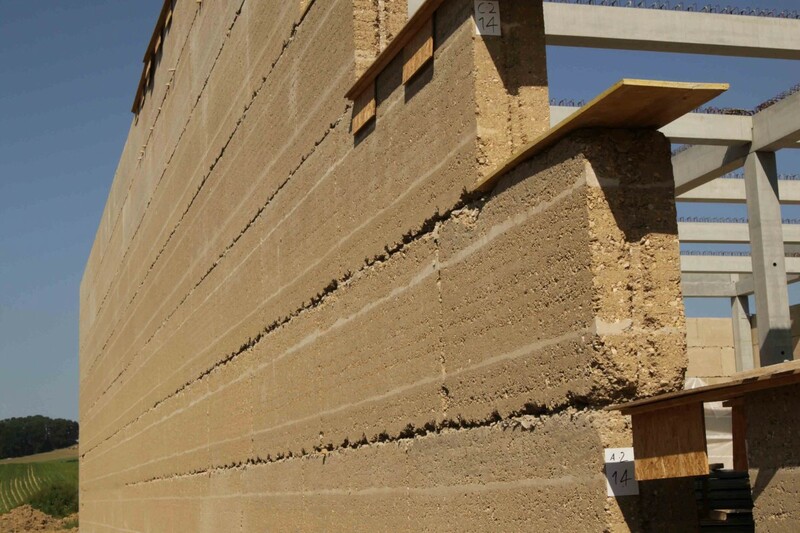 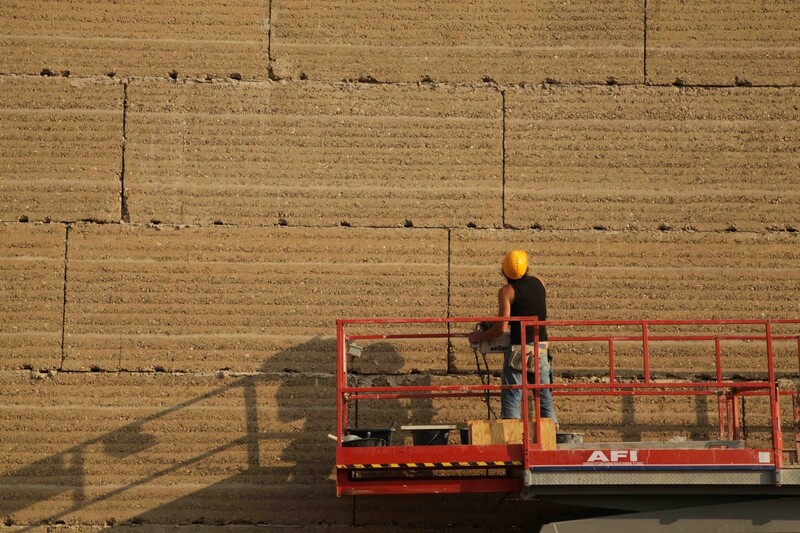 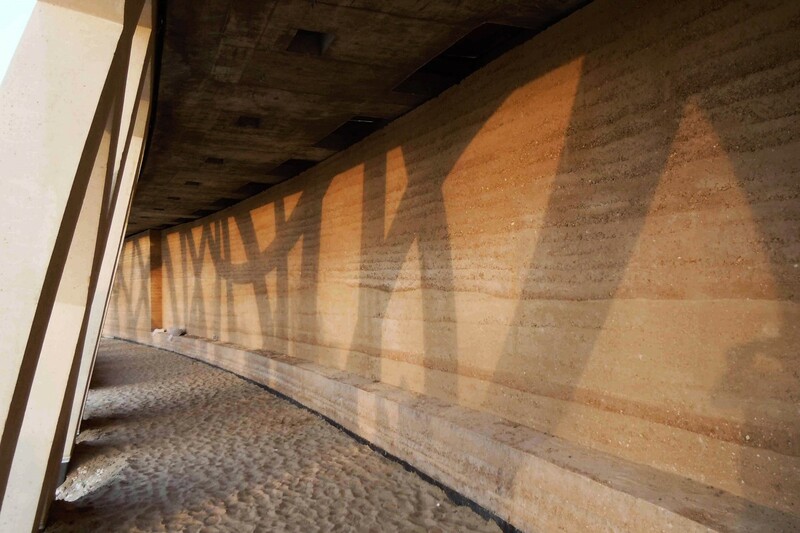 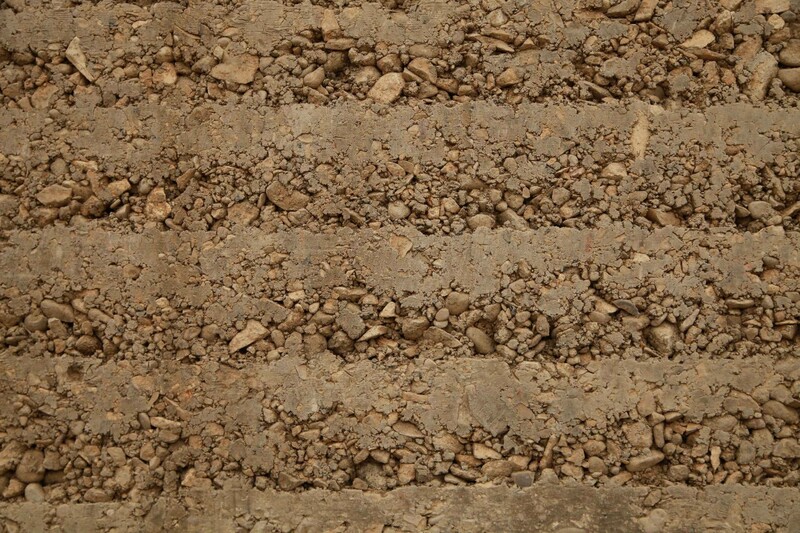 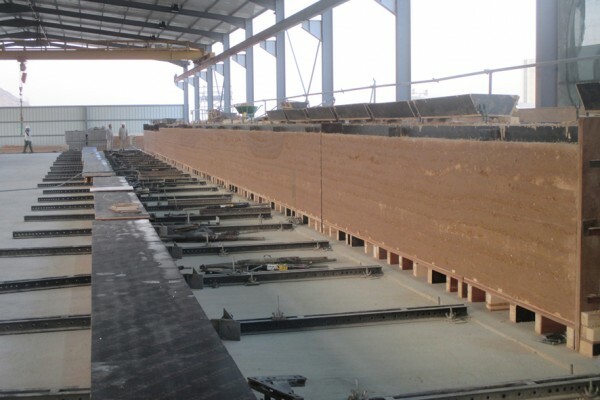 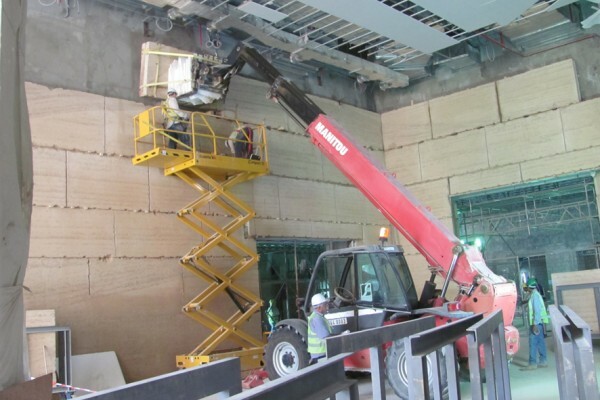 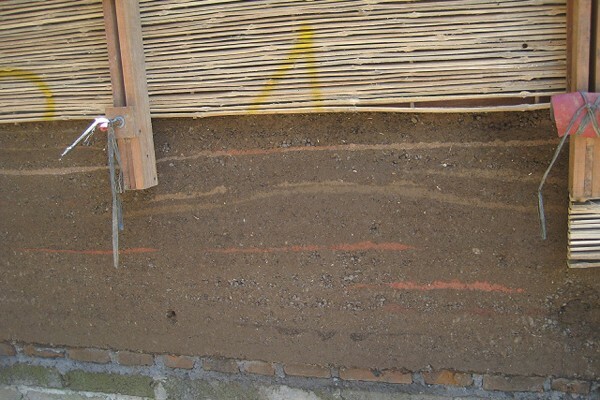 Rammed earth has been chosen to create a link between the ancient construction material - earth - which was used in most parts of Saudi Arabia until the seventies, but got replaced with concrete buildings. 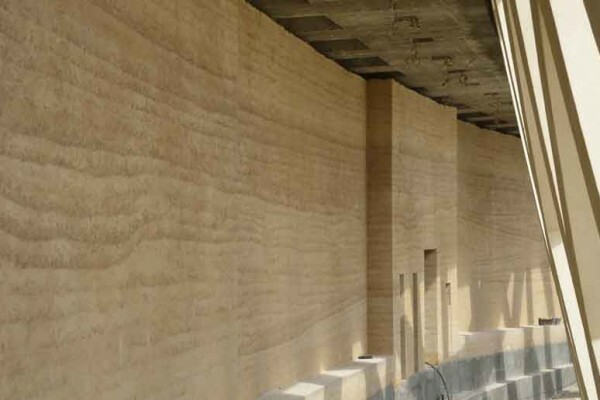 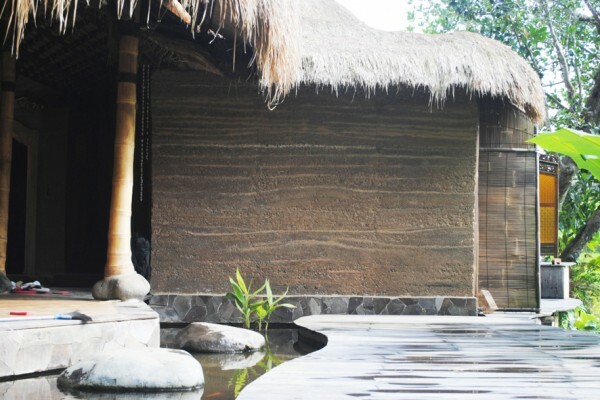 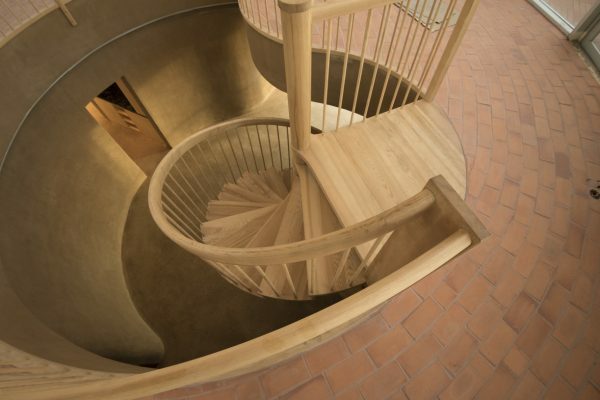 The rammed earth elements in this project show up how sophisticated an ancient technique can be shaped. 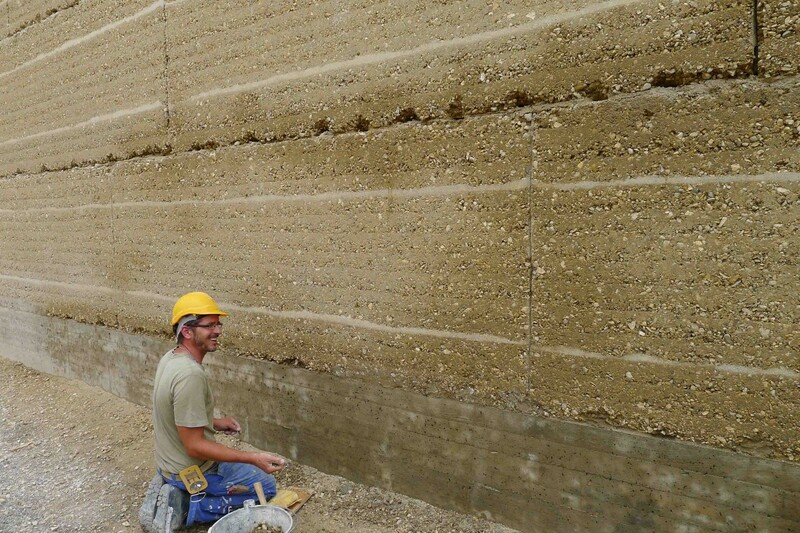 The dimensions of the earth walls are impressive. 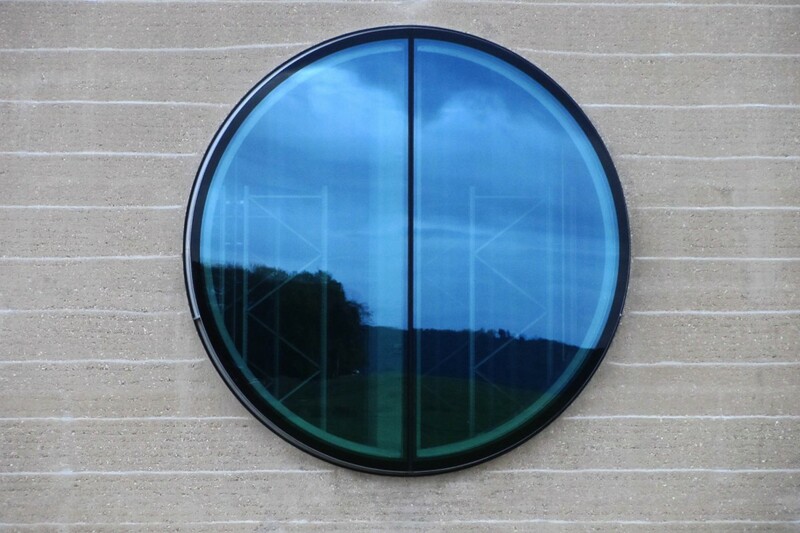 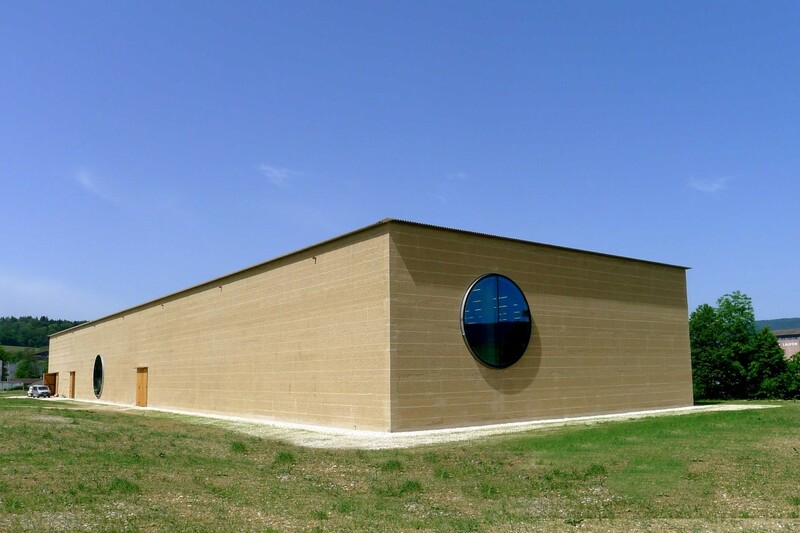 The Ricola Kräuterzentrum (herb center) in Laufen was designed by the Basel based architects Herzog & de Meuron and inaugurated in 2014. 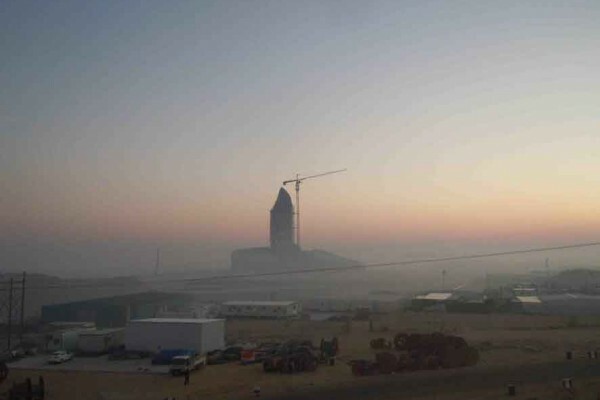 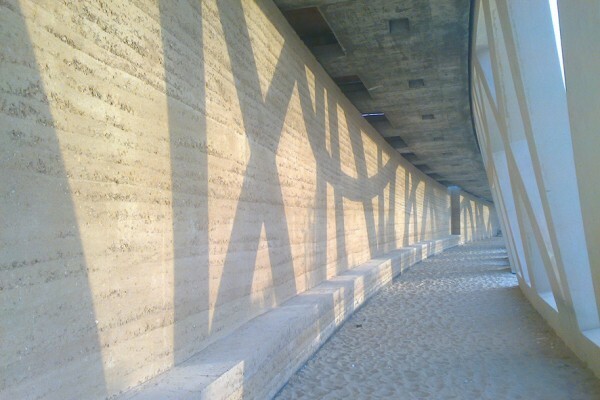 The building is a high-volume long building with flat roof and façades respectively 110 m and 30 m long, built as a continuous rammed earth wall. 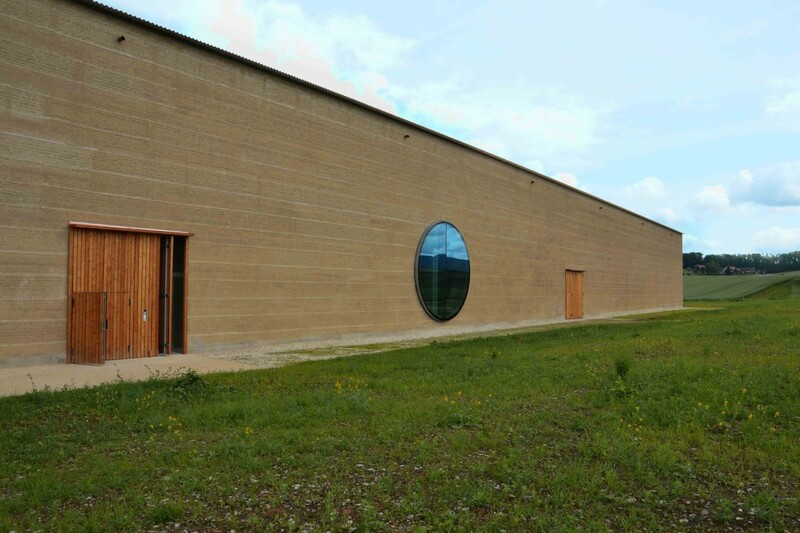 Lehm Ton Erde worked closely with the architects to develop the project, which now stands as Europe’s largest earth building. 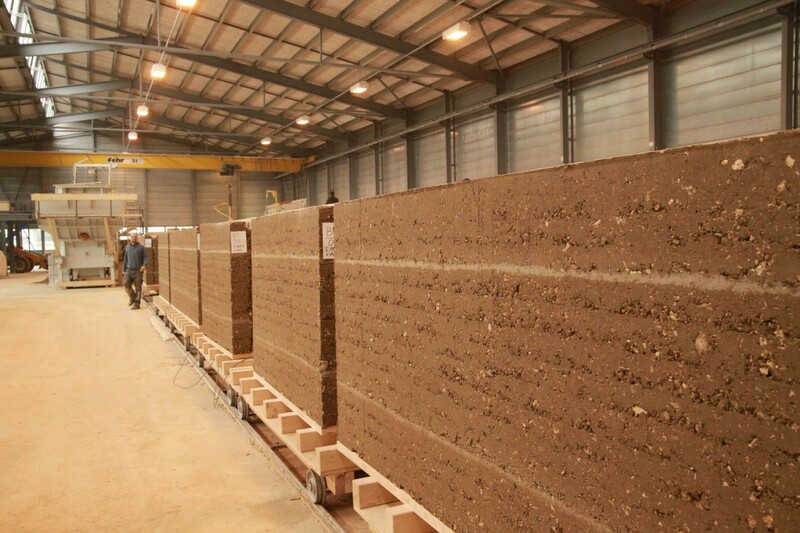 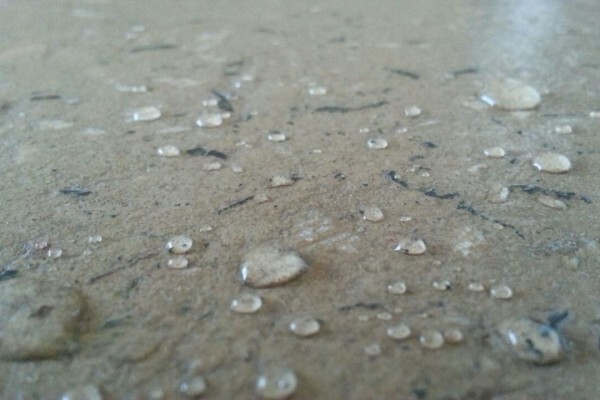 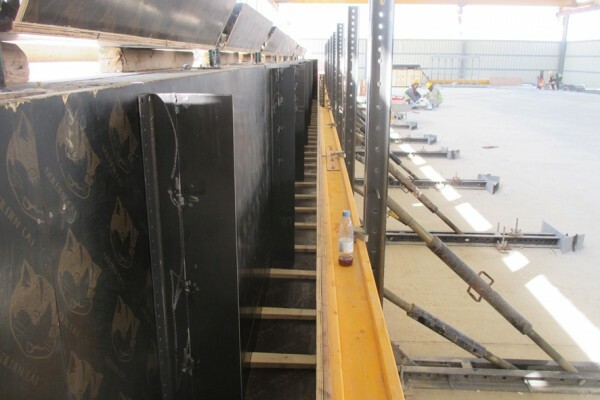 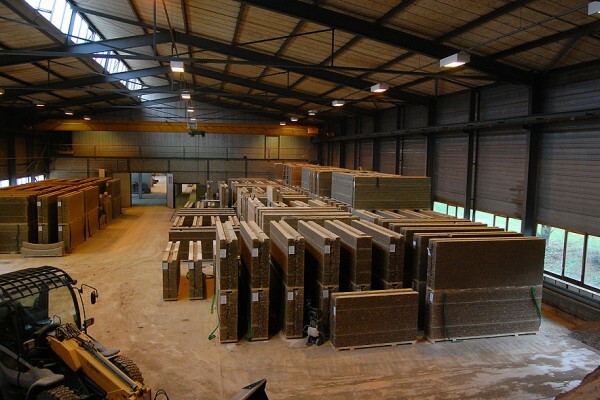 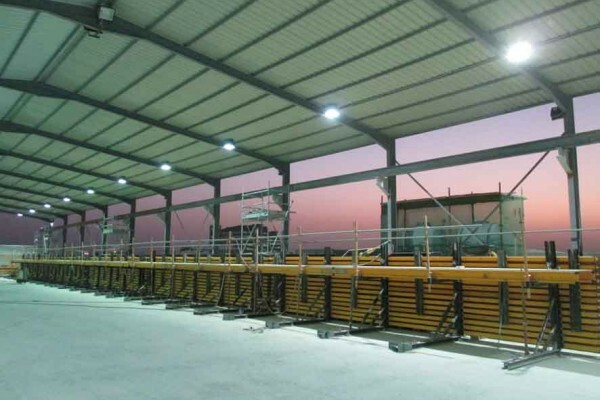 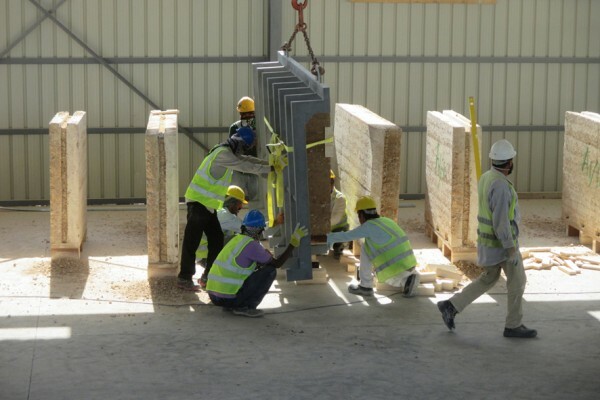 The prefabricated earth elements were manufactured in a nearby factory out of earth extracted from local quarries and mines. 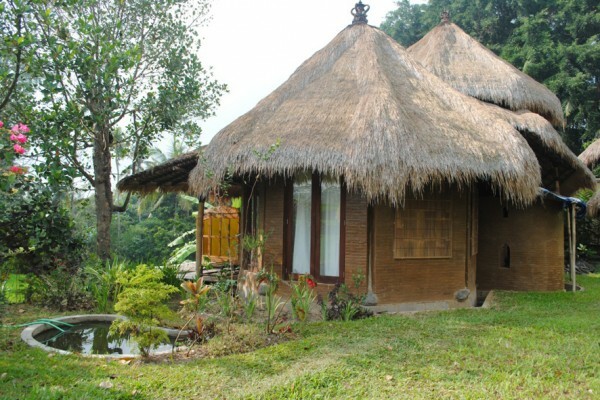 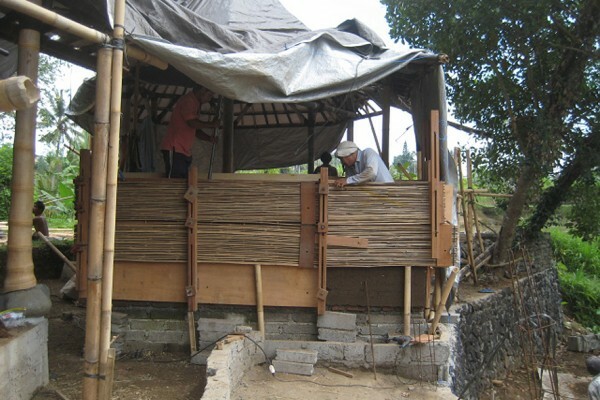 The task was to build a home for a Yoga teacher. 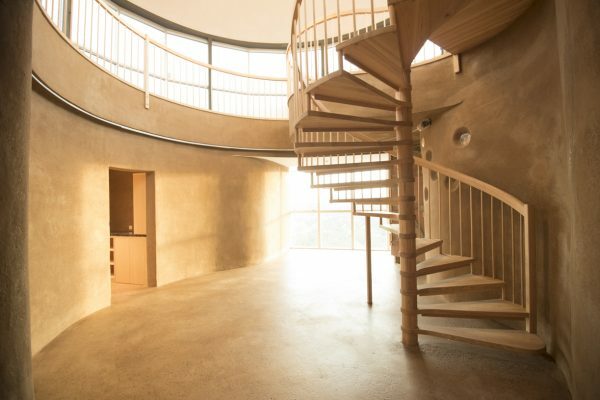 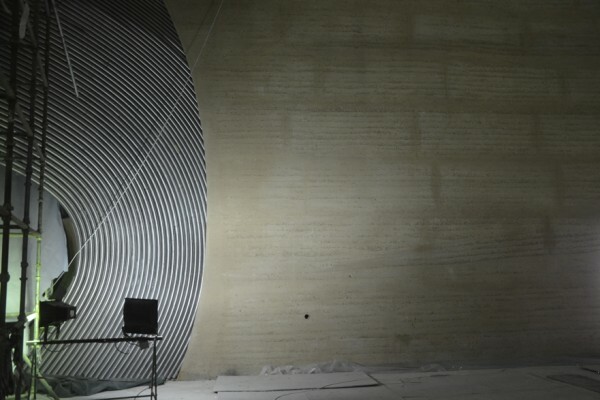 The vision was to create three independent spaces shaped as an octagon and to connect them with bridges. 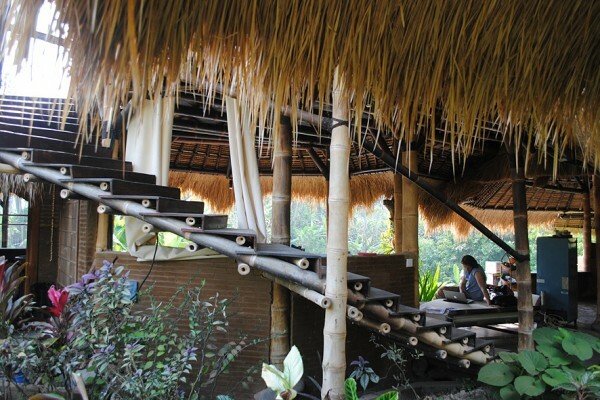 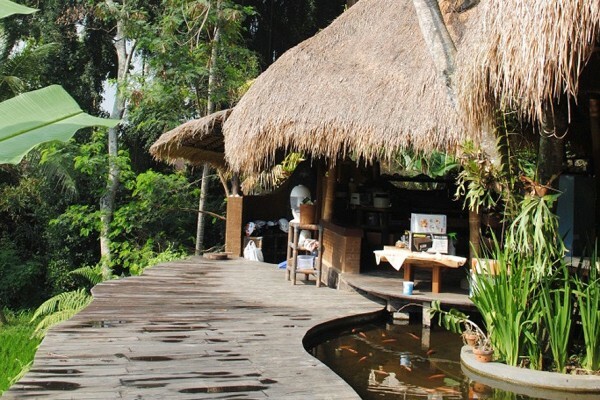 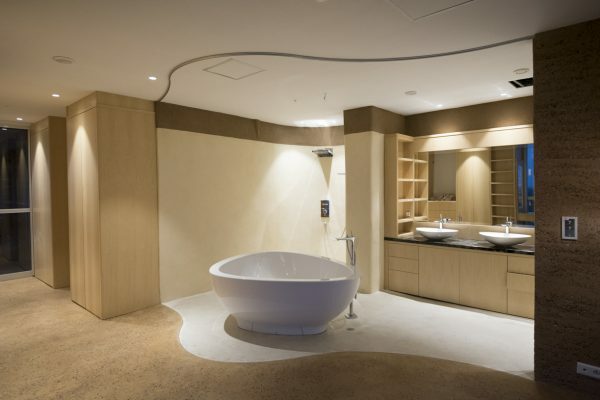 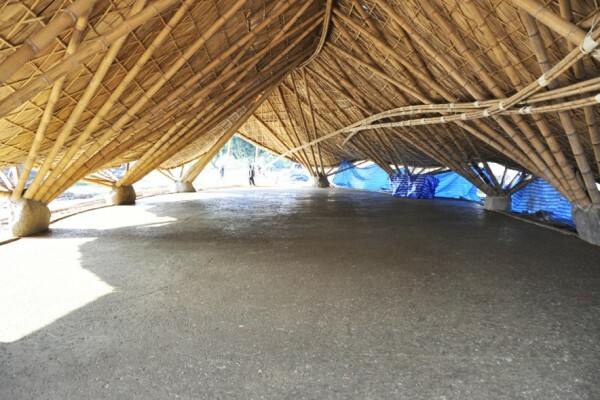 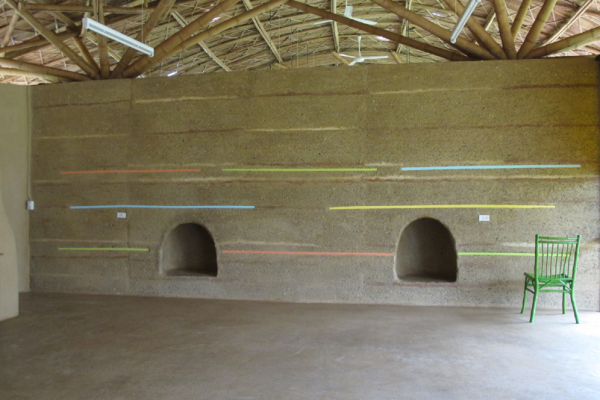 The choice of materials were clear: Bamboo / Earth / Gras, all as local as possible. 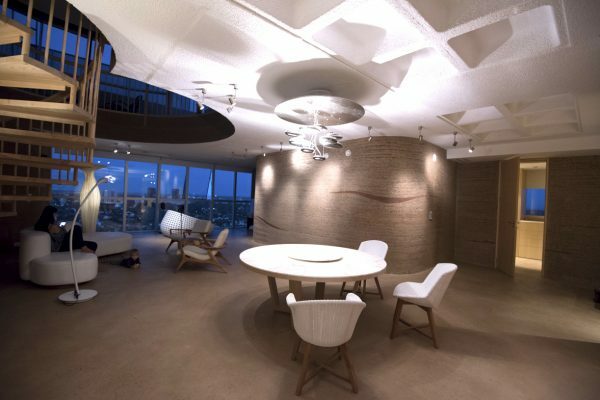 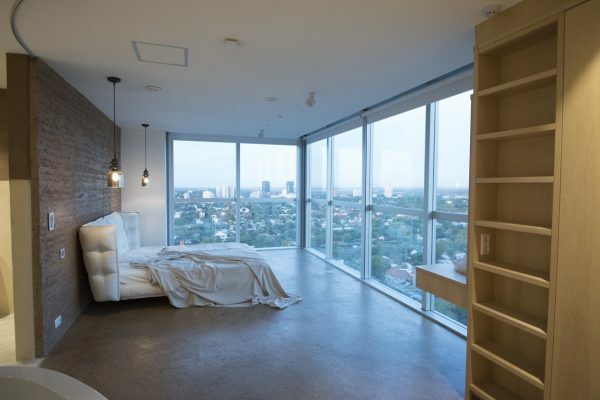 An open space with plenty of airflow which brings a fresh breeze into the living space and reduced humidity. 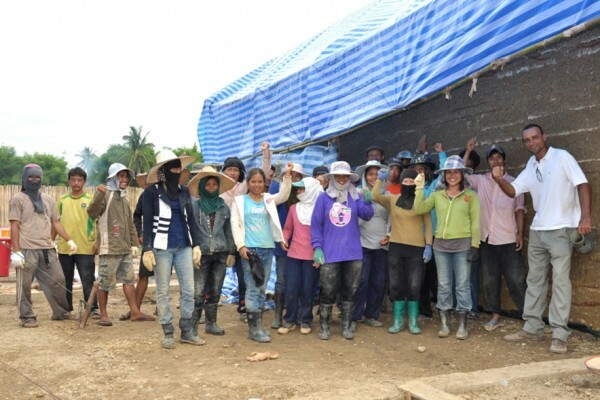 The project was realized with local workers. 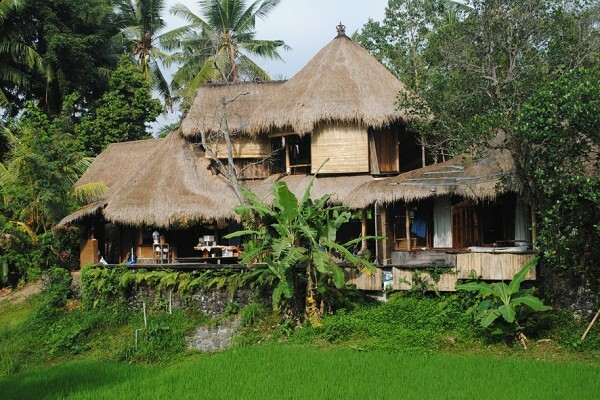 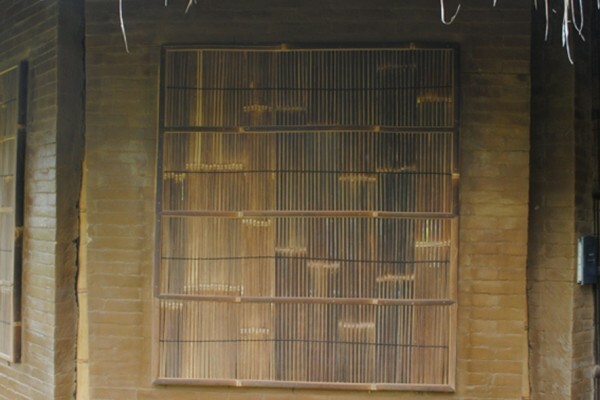 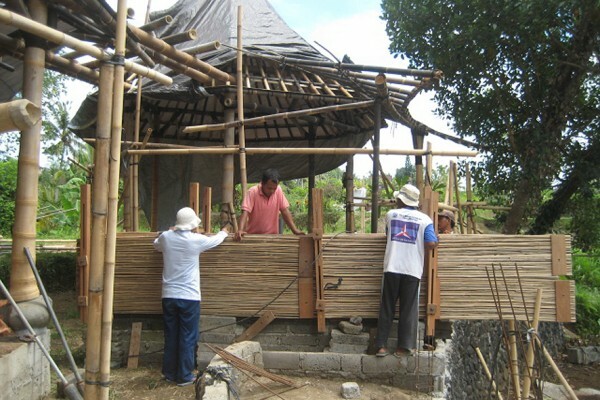 Balinese craftsmen are already skillful in Bamboo work. 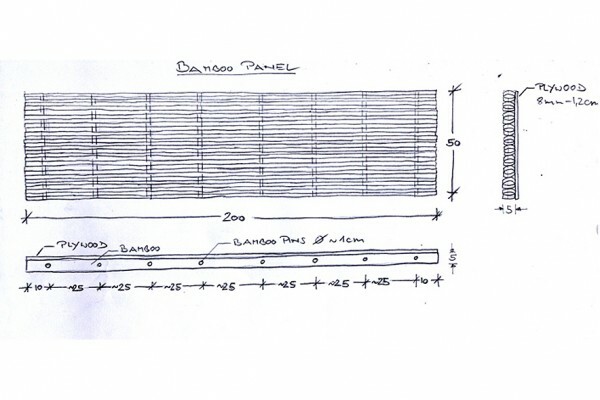 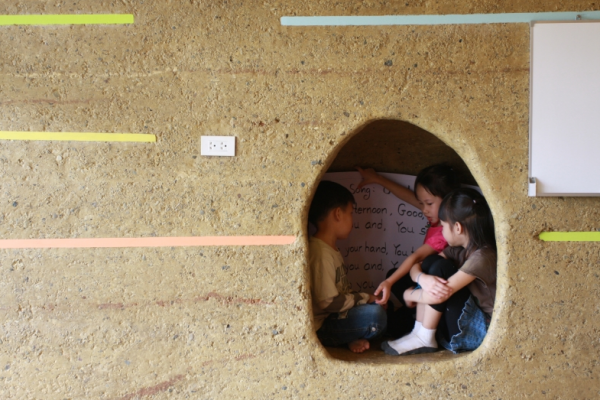 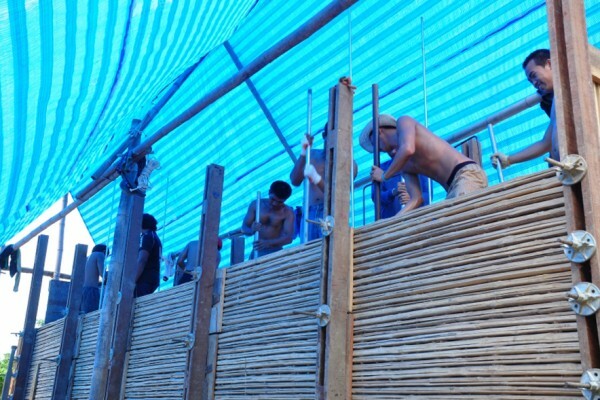 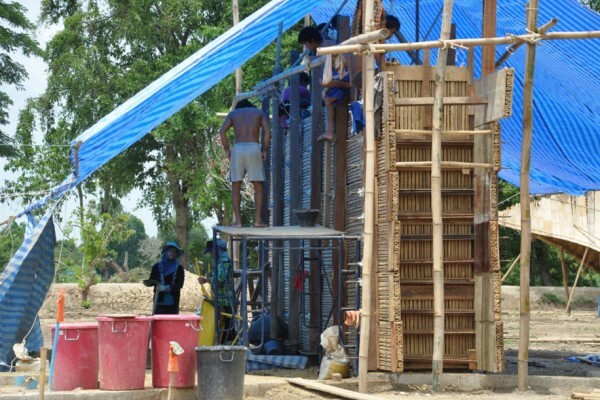 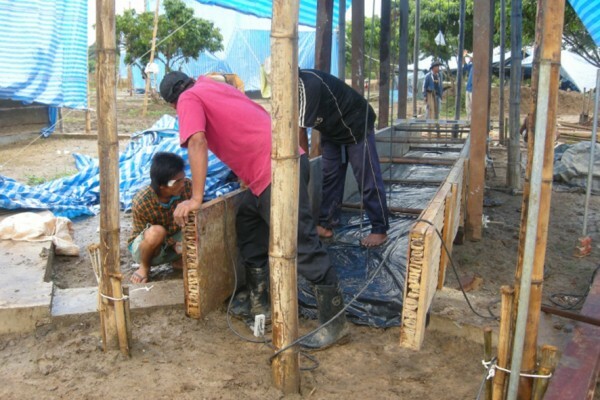 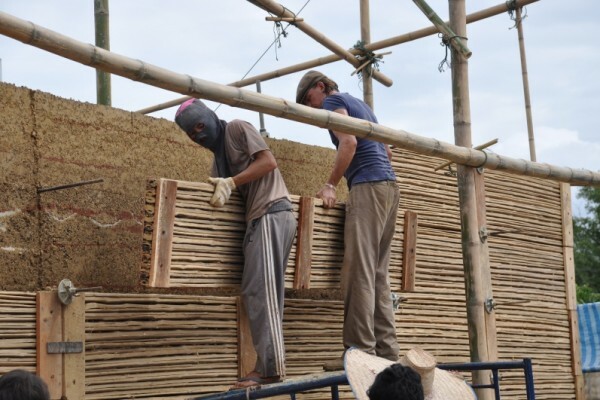 My main task was to train them to build rammed earth walls, rammed earth floor and to figure out the interface of bamboo and earth. 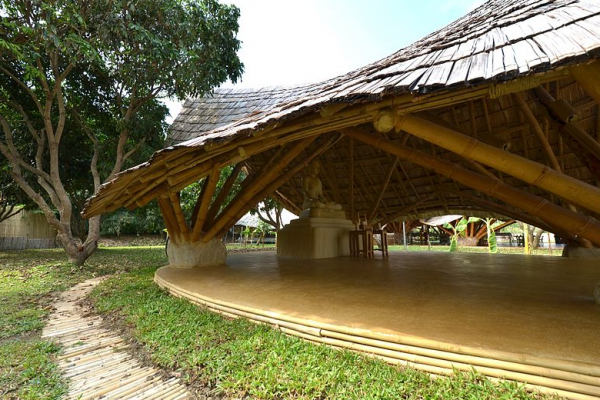 Markus Roselieb and his wife Yodphet Sudsawad are founder of the Panyaden school in chiang mai. 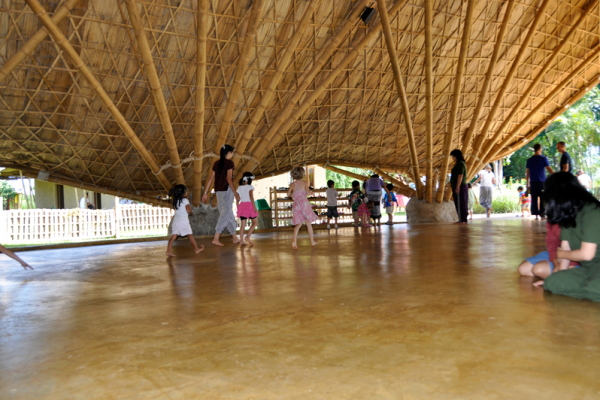 Panyaden School is an international "green" school based on Buddhist principles and situated in Chiang Mai, the capital of northern Thailand. 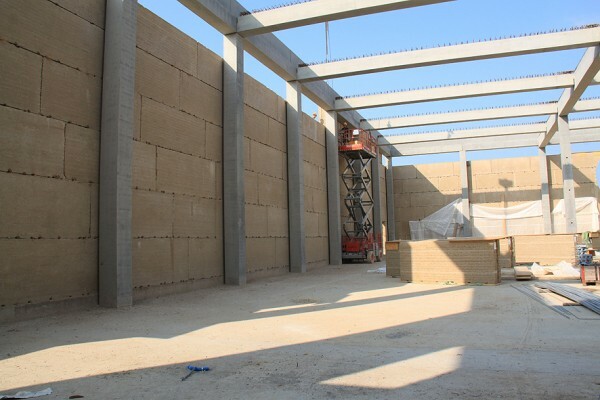 The first phase of the school was built in 2010-2011 and as it has outgrown its initial plan, new buildings were erected. 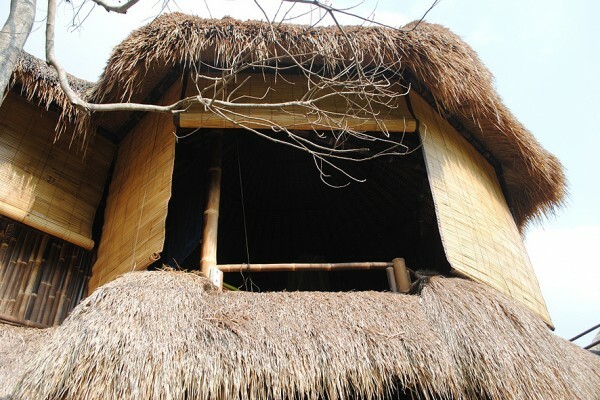 Panyaden is a green school not only because it is situated in an orchard in the middle of mother nature and teaches how to live with nature, how to plant and harvest rice and vegetables, how to recycle and save energy ; but also because it is entirely built form earth and bamboo only.